Collaboration Ten Brinke and Eurol for Dakar 2019 | Eurol B.V. The successful collaboration between Bernhard ten Brinke and Eurol will be continued in 2019. 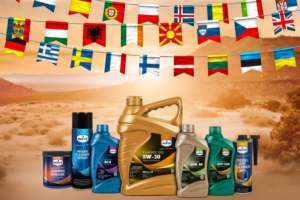 The Dutch Dakar driver will be participating in the Dakar Rally 2019 with the support of Eurol lubricants.